Many mortgage brokers and loan officers are quickly realizing that without a high quality mortgage website, they are missing out on a significant source of mortgage leads in their overall mortgage marketing strategy. They may have an older generation of website that hasn’t been updated by their mortgage website provider or they may not have a mortgage web site at all. As they search the market for possible mortgage website solutions, a few different options arise. Mortgage templates are a traditional low cost way for mortgage lead generation website providers to give their users high quality websites for a lower cost than that involved with building a custom mortgage website from scratch. Mortgage templates essentially prevent mortgage website design firms from having to start from scratch each time they build a website, lowering website build times and costs for the end user. Mortgage templates are a cost effective way to provide high quality websites that can still be customized, but without having to reinvent the wheel. Mortgage website templates are also usually offered by mortgage website design companies or similar providers, so the hope is that they will have more experience in mortgage related calls to action and conversion factors. This is not always the case though as many mortgage web site providers still provide their users with mortgage lead conversion killers like Full 1003 Applications, which is really a shame considering how these significantly decrease your ability to generate mortgage leads. Custom mortgage websites are also an option for a mortgage broker or loan officer looking to build a new website. A custom site will give more control and flexibility over the look and feel of the website, but the truth is that most custom mortgage websites are also built off of templates. In fact, most website designers use templates. Why? Because it just makes sense. There’s no reason to start from scratch on each website, the same way that a car factory wouldn’t abandon its preset templates for assembling cars. Custom mortgage websites also carry a few risks with them. In my personal experience, general website design firms that do not specialize in mortgage websites specifically, do not understand lead generation very well. This translates into the websites they build being pretty to look at, but lacking important on page conversion items and calls to action. Items such as fast mortgage rate quotes, live chat, user friendly navigation, user friendly verbiage, high conversion applications, etc. are commonly missing or implemented poorly. If you are shopping for a mortgage web site, ask to see a portfolio or demo site. Decide whether or not you know what an excellent website looks like. If not, find someone who does and get their advice. 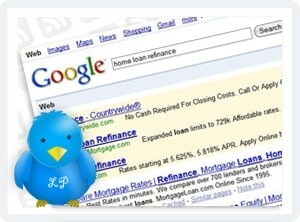 Google mortgage website design and look at the offerings. Many providers have woefully out of date and sometimes tacky designs, take note and keep looking. Take your time and don’t get into a website unless you like what you see and make sure it does not include mortgage lead generation killers like, flash intros, tacky designs, Full 1003 Applications, etc.